through your qualifications for a Fighter Jet Type Rating. Looking for the best and safest training available in the warbird sector? Steve’s unique qualifications (fighter pilot, test pilot, licensed A & P and Aeronautical Engineer) position him to offer a well-rounded syllabus that covers far more than the standard training. This course will teach you the fundamentals of flying jet aircraft. Having taught BOTH military and civilian pilots, Steve will work with you at a comfortable pace to help insure maximum retention and a thorough understanding of the aircraft systems, flying characteristics, and important safety issues. Whether you’re currently flying a small Cessna, a 747 or transitioning from other complex aircraft, this course will prepare you to comfortable fly jet aircraft and/or acquire a type rating. Minimum requirements for a type rating are a private pilot’s license, current medical and 500 hours total time in a fixed wing aircraft. The average piston engine student takes from 5 to 12 flight hours to accomplish a course. The cost of the training depends on flight time with discounts available based on number of hours flown. Ground instruction is required and included in the course. The two-day course is free with a minimum of 7 hours of flight time. Based on your needs, the transition training can be a general course (for first time jet pilots) and/or be specifically designed to simulate a specific jet which you intend to fly. 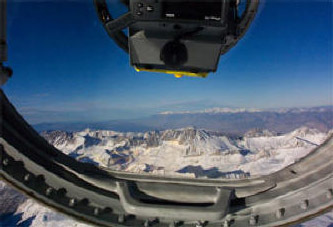 As needed for your experience level, you will be provided with an in-depth understanding of the aircraft systems, engine operations, flying characteristics, performance capabilities, emergency procedures, basic physics, aerodynamics, structural design, jet engine operation, high altitude flight, high performance aircraft and human physiology, ejection and parachute bail-out procedures. Commercial pilots who fly private jets (Citation, Lear, Gulfstream) do not have the opportunity to FEEL the results of having the aircraft in a dangerously unusual attitude. Unfortunately, all the simulator training in the world can’t demonstrate the actual physical impact of high G loads while simultaneously being disoriented. Upset training fills the gap between fantasy and reality and is designed to show you the skills that may save your life, and possibly the lives of others, in an emergency situation. This course will give you a taste of higher-level pilot skill and hand-on experience of basic aerobatics, including a JET SPIN (a maneuver many instructors are not capable of demonstrating) and unusual attitude recovery. You will learn how to control your jet in an extreme situation including inverted nose-high, no speed or inverted steep dive recovery. EBAS offers Recurrent Training and/or Biannual Flight Reviews (BFR) required every two years by FAA regulation for Experimental Jet Type Ratings. The course includes 2 hours of ground instruction, knowledge test and minimum of one flight for Flight Review Endorsement. Sign up for initial or more advanced aerobatic training and explore all basic aerobatic maneuvers in a Jet. 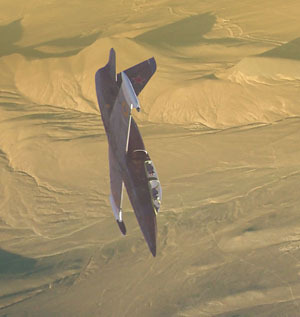 If you are already an aerobatic pilot, sharpen and enhance your skills with the experience of higher performance aircraft such as the Super Modified Delfin with an incredible climb rate of 12,000 ft per min! This course definitely makes you a better and safer pilot! Maneuvers may include loops, rolls, immelmans, Cuban 8’s, stalls and spins. Recognizing that each pilot has his/her own tolerance for G forces, Steve will constantly observe your individual skills and tolerance levels making sure that your flight time is both educational AND fun. 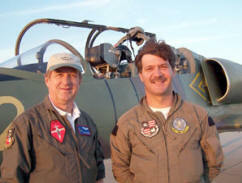 With extensive military training, Steve is the ONLY US instructor qualified to perform a Tail Slide and Cobra Maneuver. 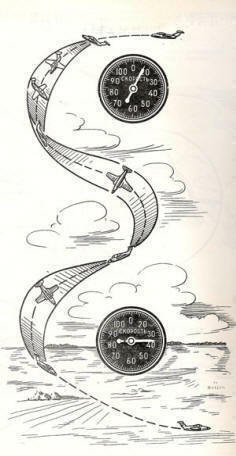 Due to the stress potential of these maneuvers, they are ONLY available in YOUR aircraft. Two day course initial training. Trained by a renowned Russian Top Gun instructor, Steve’s qualifications and unique techniques will give you a distinct advantage over your “enemy”. In this course, you’ll learn the skills, techniques and strategies (plus eastern bloc tips and tricks) for winning at the game of aerial dog fighting. Get a taste of 3-dimensional military maneuvers like split-s, steep dive for ground target, military Chandelle and other high-adrenaline maneuvers. 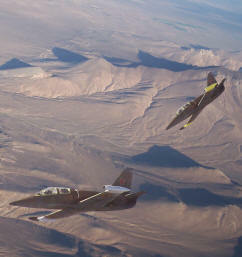 Aerial Dogfight requires two pilots' participation to get your sign-off. Trained by the military, Steve is more qualified than most to teach you the skills necessary to enjoy safe civilian formation flight. Using an approved training program, you’ll learn the basics of formation flying including proper aircraft position and the various flight configurations practiced in military and civilian “FAST CARD” training. Take your skills to the next level as nothing beats the challenge and excitement of formation flight. At the conclusion of this training a FAST CARD check pilot is available to test your skills and issue your FAST CARD. A minimum of two applicants is required as well as the included ground school course. Prices depend on types of the two aircraft used and how many flight hours are booked. Training is also available on your aircraft at your location. 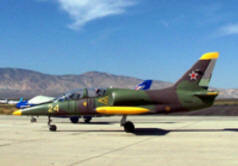 The L-39 was introduced in 1968 with full scale production by Aero-Vodochody in 1972. It was designed as a basic and advanced light trainer and light attack aircraft. It is very close to the modern jet fighters with good parameters and visibility, a high degree of safety and modern equipment. It’s reliable, has excellent flight characteristics and is extremely spin resistant in aerobatic and fighter maneuvers even in cases of pilot error. In Russia, it is gradually replacing the L-29 and is still being used in Africa and Asia. The engine is an AI 25 TL Turbofan with 3800 lbs of thrust. The first prototype (XL-29) flew in 1959. In 1960, the L-29 was approved for quantity production and approximately 4000 planes were manufactured by Aero-Vodochody in Czechoslovakia. 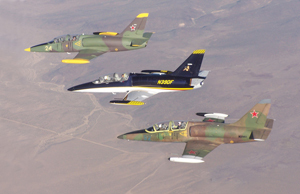 The L-29 is a tandem seat, turbo jet, basic and advanced trainer which is currently flying in Russia and some African countries. 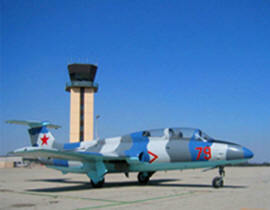 It was the second stage aircraft in the Russian training system. It is pressurized with an air-conditioned cabin and synchronized ejection seats. 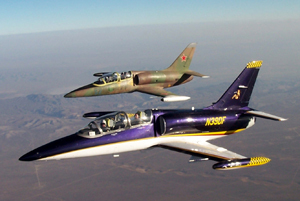 It is equipped for instrument flying, weapons training, tactical and aerobatic maneuvers.